No gastronomic trip to Spain would be complete without a stop at grilling institution Asador Etxebarri in the tiny leafy village of Axpe, halfway between San Sebastián and Bilbao. 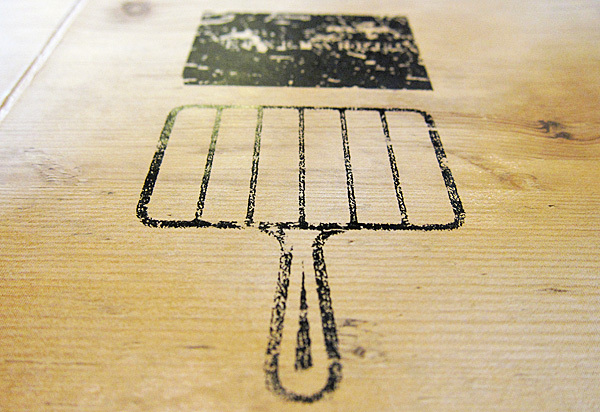 Helmed by self-taught cook Victor Arguinzoniz, the restaurant goes back to basics, treating the best of the season’s produce simply and cooking on an open fire. Much of what’s used is gleaned from the lush surroundings of the Atxondo valley, with many items made on site including charcoal (from local oak), hand-pressed cheeses, smoked wild salmon and the cured chorizo we commenced with. A good mix of sweet, spicy and salty, the sausage was punchy with a lovely soft texture. We had chosen to go with the tasting menu without much deliberation and on hindsight I wish I had taken more care to peruse the à la carte – I would have liked to try their famed oysters on smoked seaweed and the seemingly improbable grilled caviar. 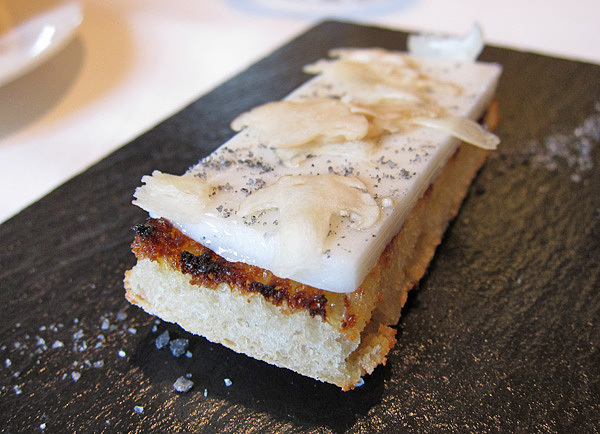 One of the highlights of the degustation came early, in the form of a thick slab of Smoked Goat Butter with fresh mushroom shavings, ash salt, resting on a neat rectangle of grilled bread. The smoky butter had such a decadent texture it echoed lardo on toast, and I almost felt guilty eating it. Incredible. 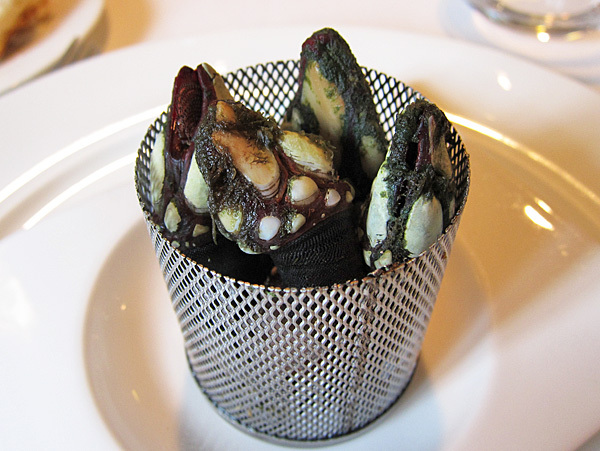 I had become very familiar with percebes (goose barnacles) on this particular trip, having eaten the prehistoric-looking shellfish 5-6 times in the space of a week. Here they were served grilled (natch) and as the waitress aptly noted, tasted of the sea. Large Palamós prawns, briefly kissed by the fire and generously salted were absolute perfection. Sweet semi-transparent flesh which almost melted in the mouth with intensely-flavourful heads that begged to be sucked clean. Surely the best prawns we’ve ever eaten, and possibly ever will eat. It was a relief for many at our table to find that what was listed as Sea Cucumber on the menu was in fact espardeñas, a local variety of clam, and not the unappealing Chinese delicacy I had feared. Similar to razor clams but softer, with ridges running along the body, these lightly-charred beauties were absolutely exquisite. 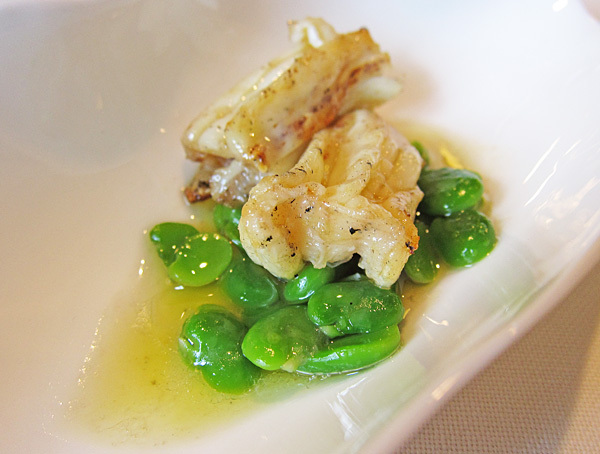 The accompanying olive oil-slicked broad beans played their supporting role well. Tender grilled Baby Octopus, delicious on their own, were even better smeared with the sweet onion confit and smidgen of squid ink painted on the plate. 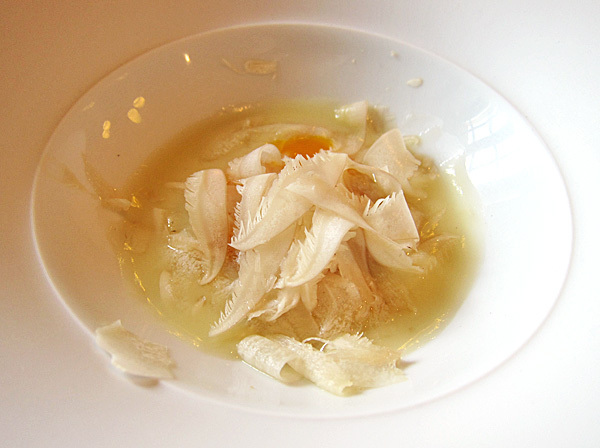 Egg Yolk (also grilled!) that sauced the plate at the prick of a fork, mingled delectably with the delicate earthy slivers of St. George’s Mushrooms. 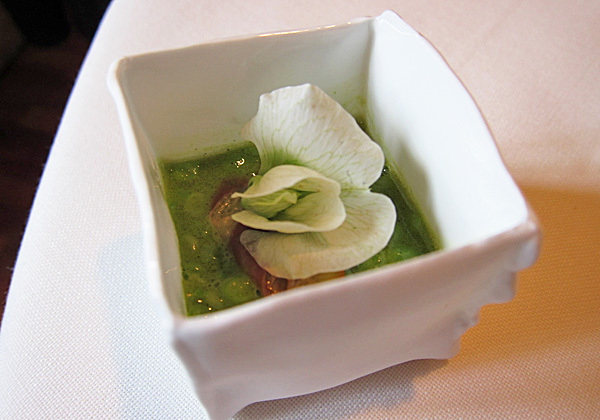 I was least impressed with the flower-adorned grilled peas which I felt were a little over done. I did like the pretty porcelain vessel encasing them though. 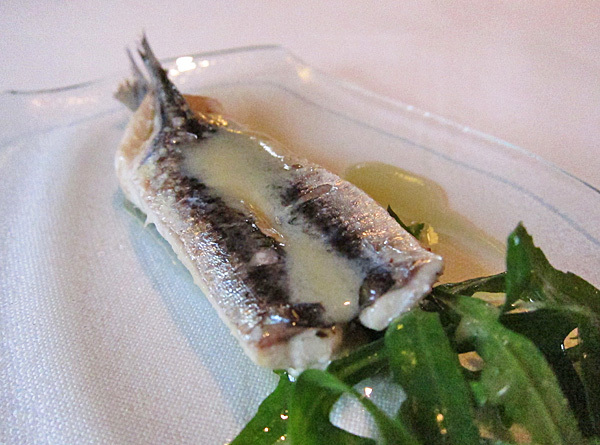 Flamed boned anchovies served with a dressed rocket garnish, were moist with lovely smoky undertones. 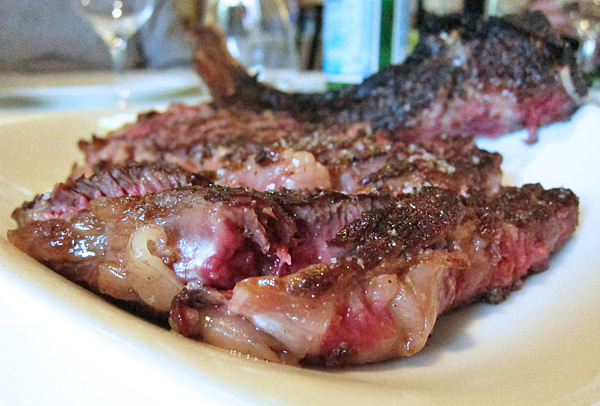 A magnificent juicy golden-crusted hunk of Galician Beef on the bone to share verged on rare and had a distinctly strong robust flavour. Small individual bowls of a simple side salad were dressed in a sharp vinaigrette that provided a much needed fresh counterbalance. 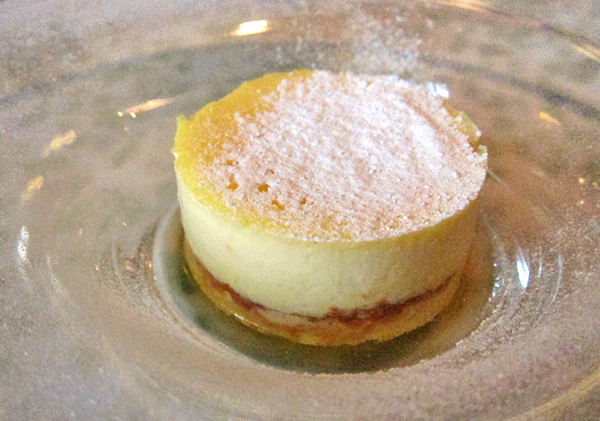 Although the grilled items were unapologetically the stars, puds weren’t too shabby either. 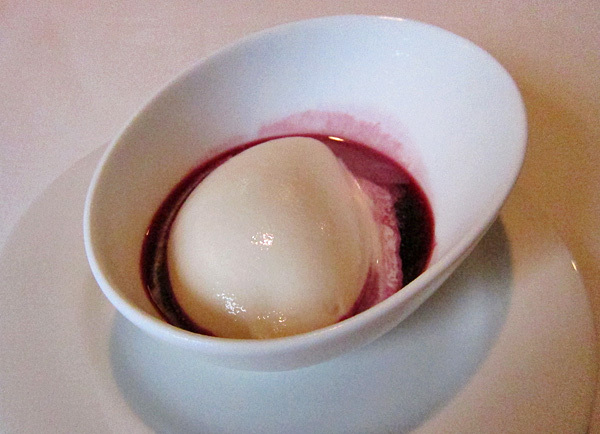 The first, a scoop Smoked Milk Ice Cream resting in a pool of tart berry sauce was smooth as silk and palate-cleansing; erasing all traces of grease lingering from the previous course. The second, a cream cheese custard known as Flan de Queso Fresco was rich and creamy with a gorgeous burnt caramel layer at its base. Un-molded from metal rings at the table, it was a wonderful cap to an incredible meal. I really enjoyed Arguinzoniz’s deft yet unfussy handling of the impeccable ingredients and the unpretentious cooking, environs and service was a real breath of fresh air. The tasting menu (priced at €120 a head) was an excellent way to get a feel of what Etxebarri is all about, and we found the kitchen very accommodating when making adjustments for individual diners with special dietary requirements (one of our party had 4 substitutions made to the 11-course menu). Most deserving of a place in the World’s 50 Best Restaurants list, and a destination worthy of a detour – whether you happen to be in the Basque country or not. ~ by gourmettraveller on May 12, 2011. We had these throughout Spain on our last trip, and though they have a very different, firmer texture than the slippery Chinese ones, I’m pretty sure it is indeed a sea cucumber and not a clam. Illuminating link! 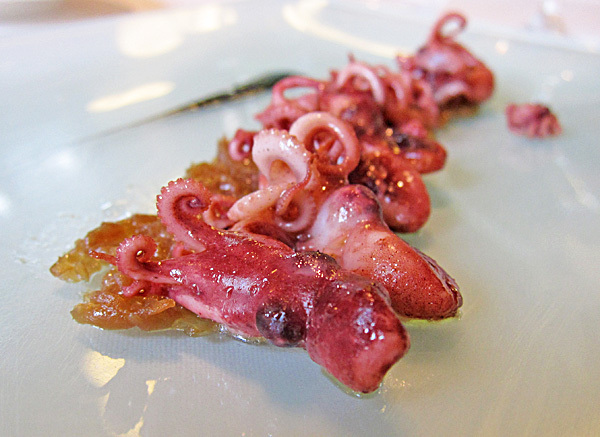 we’ve had it before in Valencia as well and the chef had also described it to us as a local variety of clam. Wow – it looks stunning. 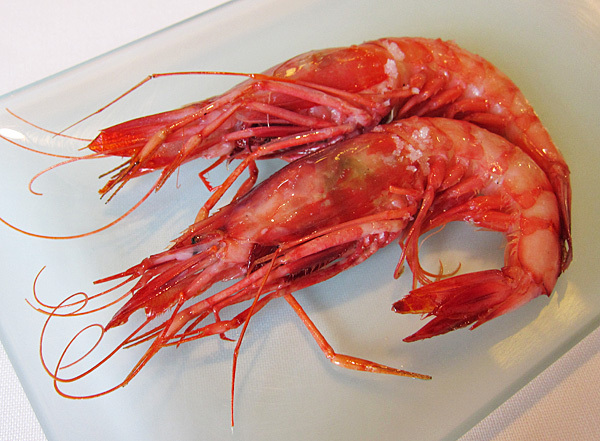 I had a Palermo prawn at El Celler de Can Roca last year and it was utterly gorgeous. I am glad I’ve finally got to try this one. So much hype in the foodie world around it. The food was tasty, there is no doubt about that. But the hype (not their fault, I know) is too much: it is a fine place to discover if you are around, not more. Great writeup. 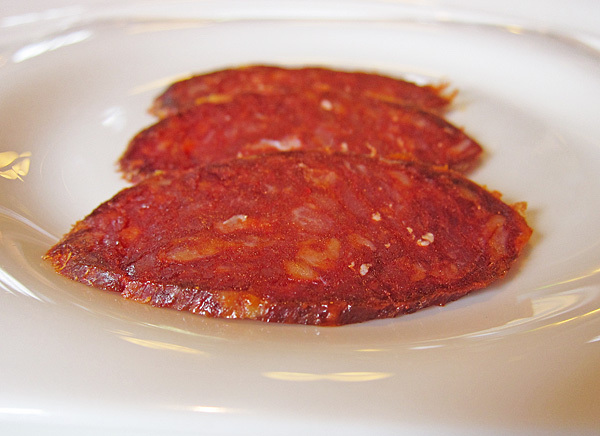 We’re heading to Basque in a few months and this will be my most anticipated stop. On your comment about making some adjustments to the menu due to dietary requirements, we may need to do that for one person in our party, but since none of us speaks Spanish, will it pose a problem? not at all – the waitresses speak English and the sous chef is Australian!